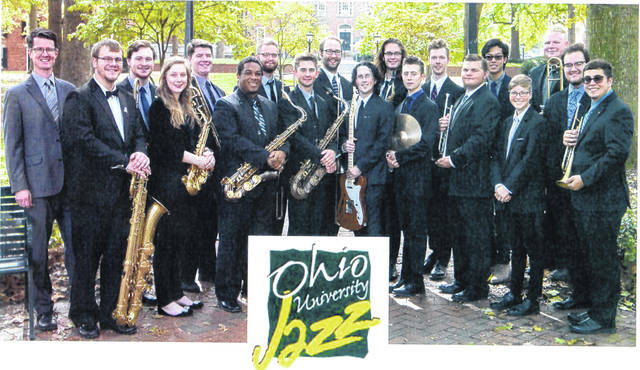 The Riverbend Arts Council, in partnership with the Meigs Marauder Band, will host Jazz in the Village featuring Matt James and the Ohio University Jazz Ensemble from 7:30-10:30 p.m. on Friday, March 29, at the River Bend Arts Council, 190 North Second Avenue, Middleport. The event will be an evening of Jazz, Swing, Big Band, and Dance Music. Tickets are available at King Hardware, Clark’s Jewelry and from Meigs Band Students. The band will receive a portion of tickets sales from the tickets purchased from band members. Refreshments will be served. https://www.mydailysentinel.com/wp-content/uploads/sites/14/2019/03/web1_3.24-Jazz_ne2019322133415642.jpgThe Riverbend Arts Council, in partnership with the Meigs Marauder Band, will host Jazz in the Village featuring Matt James and the Ohio University Jazz Ensemble from 7:30-10:30 p.m. on Friday, March 29, at the River Bend Arts Council, 190 North Second Avenue, Middleport. The event will be an evening of Jazz, Swing, Big Band, and Dance Music. Tickets are available at King Hardware, Clark’s Jewelry and from Meigs Band Students. The band will receive a portion of tickets sales from the tickets purchased from band members. Refreshments will be served.